How can a business achieve its targeted goals in-time? Is it possible for every organization to become a highly progressive workplace? Well, the answer to the latter one is YES. Organizations can reach a step closer to their goals by assigning right jobs to the right employees at the right time. The systematic organizational processes that involve practical planning to reduce lack of talent is termed as Workforce Planning. In today’s fast-pace business environment, strategic workforce planning has become a significant competitive factor. It is based on the principle that an organization’s talent pool can be managed effectively only if it estimates the current availability of the talent and predicts future talent requirements. HR can easily avoid panic hiring and layoffs, if talent planning is done before the rising needs. By planning ahead, the talent pipelines can be managed efficiently without adversely affecting the business cycles. And then of course, it is better to be prepared rather than being surprised. Isn’t it?? The strategic workforce planning supports excellent business execution by handling “What-if” situations focused on the financial and operational tasks. For instance: What if the project manager supervising ABC project quits the job suddenly? In such situations, a well-organized staff planning allows an HR person to appoint/ replace a new manager to handle the current job role without facing any work loss. It simply means that proactive workforce planning helps in advance recruitment, learning, development, succession, organizational alignment, performance and other functions. The most essential part of running a business is to maintain a good balance between ‘managing workforce’ and ‘achieving business goals’. The talent management aligns employees with specific skills to accomplish particular demands even in the lack of talent. With a strategic workforce plan, HR professionals can strategize the current and future manpower requirements making right use of the resources at right time. 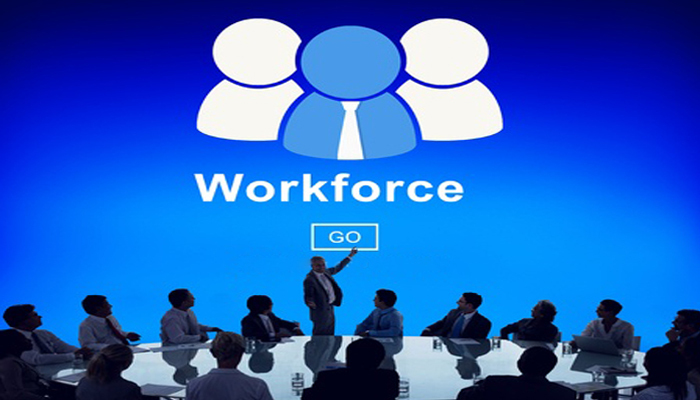 The talent pool is created to understand the skills and competencies of the workforce. Depending upon the capabilities of the employees, the tasks are assigned in order to achieve better business efficiency. Basically, it makes easier to allocate the job to a person who is the best fit for it. As a result, staff planning reduces talent gaps, calibrates performance and aligns employees to reach strategic business goals. Organizations consider employees as their biggest investment. The employees are solely responsible to bring difference in the successful achievement of short and long term business goals. After long years of research, experts recommend to focus on 4 elements while designing workforce plan. Size of the staff: By getting right number of employees, it becomes easy to reach strategic goals efficiently. Skills & expertise: Evaluate employee’s potential and calibrate their performance data to find talent gaps. Managing skills and competencies help in filling talent gaps. Allocate right jobs: The business organizations that continually grow must have right people at right jobs to make best use of their talent. Correct investment: Spending right amounts on the right things bring best to the business. There is no doubt that human capital has become a key element for big business successes. The good news is workforce planning helps to understand business priorities and fulfill them with the best available resources. Or we can say, it forces everyone involved in the business to look towards the future needs and stay prepared to meet them. After all, every business is working to explore best possibilities for today and tomorrow! Get started with workforce planning, and don’t let your talent management system remain unappreciated and unused!